Below you’ll find answers to some commonly asked questions. If you have any additional questions please feel free to contact our showroom and speak with a Salesperson or Account Executive. To view our complete terms and conditions please click here. You may request a quote online, call our showroom to speak with an Account Executive, or visit our showroom. We ask lots of questions so our quotes can be complete and accurate. We are completely transparent, we don’t conceal anything. Listed separately are the individual rental items, delivery / pick up, labor, setup, applicable taxes and any other requested services. Prices listed on our website are for one day event/weekend or a 48 hour rental period. What if I want to rent for an extended period of time? If your requirements are for an extended period, call an Account Executive or visit our showroom and we will provide pricing. Visa/MC/Amex. We do require a valid credit card on file in order to confirm your reservation. An initial 30% credit card deposit is required to confirm an order and the remaining balance is charged to the same card 72 hours prior to delivery or Customer Pick Up. Yes, net 30 terms are available to clients with an account. Accounts are opened with Bravo for industry professionals and companies with high volume orders who have been pre-approved by our account application process. Yes, once your order request is processed and confirmed we will email you an order confirmation. Please read and review the order confirmation carefully, and let us know if you require any adjustments. Can I change or cancel items after I have reserved? Yes, you may change your order up to 72 hours prior to your event . You may cancel your order up to 72 hours prior to delivery. However, deposits are non-refundable and non-transferable to any other event. Special order items and tenting or other services will be charged at 100%. Yes, anywhere and anytime. Our transport department works 24/7. Delivery fees vary based on the delivery location, dates and time of delivery/pickup, and time requirements/restrictions/constraints. There is not minimum order. However, should you require delivery Bravo requires a minimum of $150 in rentals (before taxes and damage waiver). Do I have to pay for equipment that I don’t use? Yes, you are responsible in full for rental fees of items that have left our warehouse, as they are out of our inventory and unavailable for other clients to rent. As well, due to our high quality standards, equipment that has left our warehouse will go through our cleaning process with all our return equipment. Do you sell your inventory? Yes, it is possible to purchase our inventory. Contact an Account Executive or Salesperson to give you further information. Do I have to wash the dishes or clean the equipment? Bravo will clean and wash everything.We do ask that the glassware be emptied and placed face down in the racks. 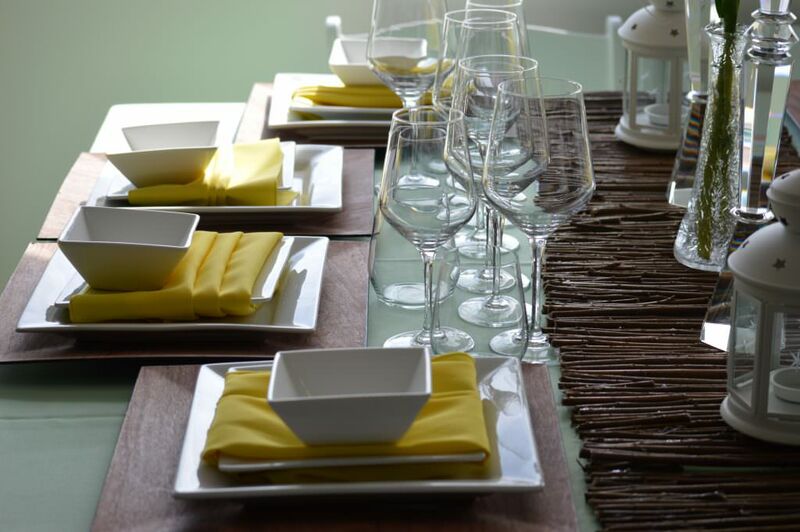 Dinnerware/flatware have all food scraped off before pick-up and soiled linens are to be placed in the provided Bravo linen bags free of refuse and dry. What if a rental item is damaged or lost? If an item is not returned, or returned in such a condition that it cannot be rented again, we do have to charge a replacement fee. Replacement charges differ from the rental rates. All of our equipment is counted before delivery and at pick up and again in our warehouse to allow us to accurately track everything that comes and goes from our warehouse. Do the prices include installation and take down? Yes, setup and take down is included for specialty items such as staging, dance floor, some tenting structures, lighting and furniture. However, setup and teardown is not included for basic items such as linens, tables, chairs, and tableware. All contracts contain the 9% damage waiver which covers damages and incidentals. We ask that you return all broken items (eg. stem of a glass) in the crates provided. Damage waiver does not cover lost, stolen, vandalized or mysterious disappearances.